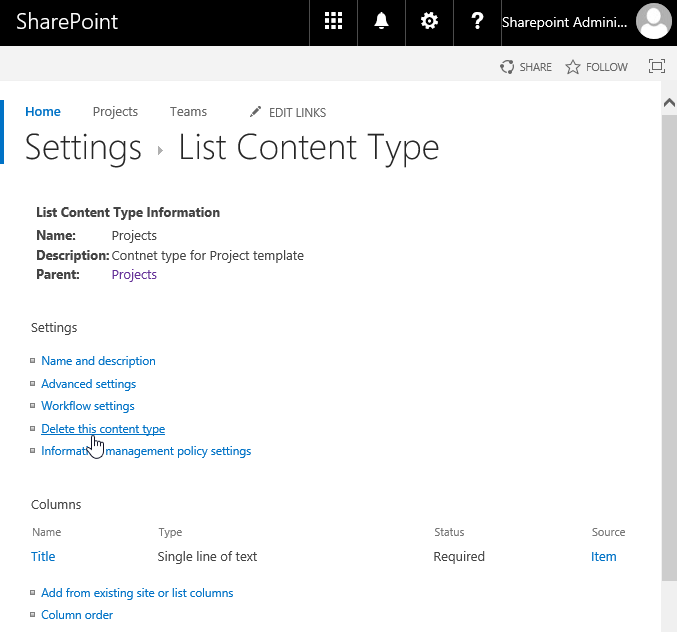 Requirement: Remove a Content type from SharePoint Online List. How to Remove a Content Type from List in SharePoint Online? Under "Content Types", Click on the appropriate content type name that you wish to remove from List. To remove a content type from SharePoint Online list, use this PowerShell script. Please note, you can't remove content type from a list if the list has any items created based on the particular content type you wish to remove! This could result in "Content Type is still in use" error both from SharePoint UI or using PowerShell to remove content type from list.